Abjectedly Yours was the lead book in the Bath Chronicle’s Book Section on February 21, 2013. So nice to have the word out across the ocean! 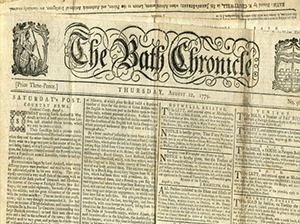 The Bath Chronicle is the weekly paper in Bath, England.